Press Release (ePRNews.com) - NEW CITY, N.Y. - May 15, 2018 - Vault8 announced today the launch of Vault8 Service online. The services are completely anonymous without any personal information required to open an account. Accounts are by number not by name, as the Swiss bank accounts originally were. How Vault8 works and the services it offers. Opening a safe deposit box is free. There are 3 types of accounts, Standard, Lender & Investor. Once opened the holder is issued an account number that is used instead of their name. Account holders can deposit into their safe deposit box using a cryptocurrency wallet. They can withdraw from their safe deposit box at any time in the same manner. There is no limit to the number of safe deposit box accounts one person or company can open. There are many self-directed features within the account holder’s area. Account holders can transfer from one safe deposit box to another, their own or another account holder. They can allow temporary access to their box so others can verify their cryptocurrency holdings. There are peer to peer loans using the account holder’s cryptocurrency as collateral; a hold is placed on the collateral until the loan is paid off. If the loan defaults the cryptocurrency is transferred to the lenders safe deposit box. Account holders can convert their cryptocurrency or other physical currency to Vault8 Tokens. Vault8 Tokens are an internal, fixed value cryptocurrency backed by the cryptocurrency or hard currency that it was convert from. Example, account holder converts bitcoin into Vault8 Tokens which are in their safe deposit box. When they want to withdraw from their box they can convert the Vault8 Token to cash or any other crypto or hard currency. Vault8 is a virtual company, like bitcoin and other cryptocurrencies it is virtual. 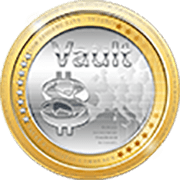 The Vault8 website is a portal for the services offered, no cryptocurrency is received or stored through the website, all safe deposit boxes are offline. Vault8 does not buy or sell cryptocurrency; it is not a money transmitter, or exchange. Vault8 operates around the globe through its portal website and its network of agents.